K A T H Y L A M S T U D I O Blue & White Collection Only KATHY LAM STUDIO was founded by Kathy Lam in 2015. 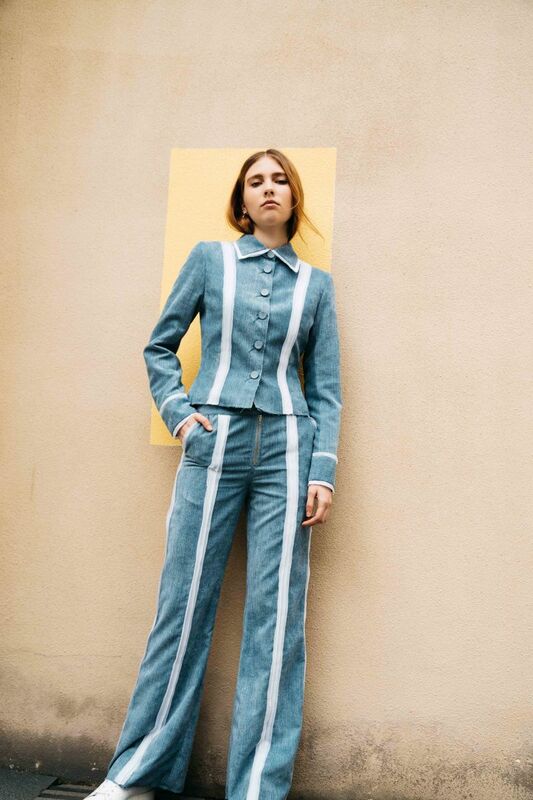 The brand main philosophy is to create fashion in blue and white only, Blue stands for mystical, unconventional and self-confidence, White represents tranquil, original and pure. Our design brim with girl’s unripe taste, fusion with insouciant temperament, create sharp and natural style. Fabrics are exclusively handcrafted from organic material and the entire collection is produced and shipped directly from the brands own Hong Kong studio to ensure fine quality.